Hey everyone! I’m Stephen and I’ve been an auto mechanic for over a decade now. Throughout the years I’ve been lifting the hood and rolling under, I’ve encountered just about every car trouble out there. That’s why I’ve decided to put up my very own website. 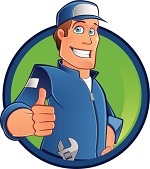 I’ve made it my personal mission to help you out with your vehicle problems and hopefully, keep your car in tiptop shape. There’s no doubt about it: Your car is one of the most expensive investments you’re ever going to make. Whether it’s a Beemer or a Prius, you’ve spent good money on that. I can’t blame you once you start to feel like your world is crumbling on you once white smoke comes out of it or when the ignition doesn’t work — or when you hear the three dreaded words: a blown head gasket. The fact is car problems are going to pop up eventually. The trick is to know how you’re going to deal with it. This is where I come in. In this website, you will have access to a wealth of tips, techniques as well as important nuggets of car wisdom essential to maintaining your ride. Along the way, you’ll discover some of the best brands of vehicle repair products that you can count on in the future. No matter the model or make, let this be your go-to guide for when you encounter car trouble that may otherwise be foreign territory to you. After all, the last thing you want is breaking the bank and spending thousands and thousands of dollars to get it running again. If you can’t seem to find what you’re looking for, I’m just a comment or email away. For now, go ahead and learn a thing or two about your car today.